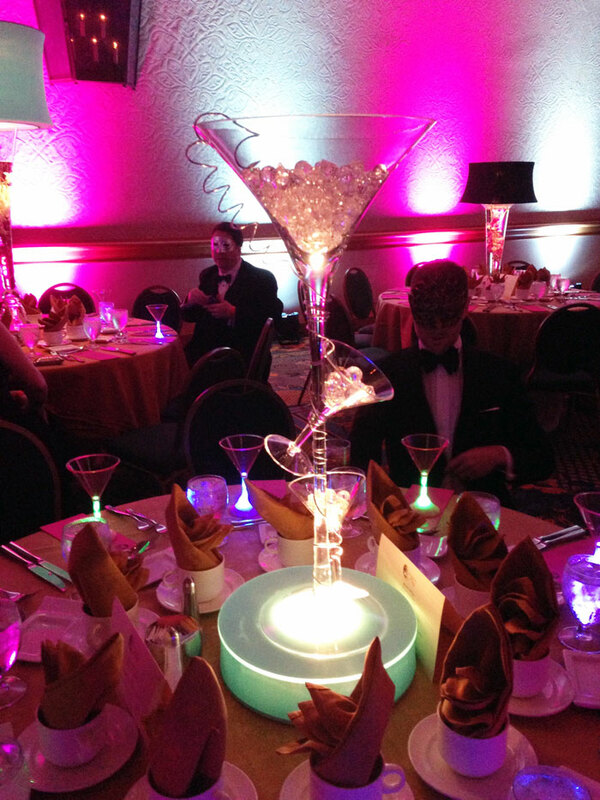 This table actually has a large martini glass as the centerpiece. See the beautiful gowns and tuxes on the people? 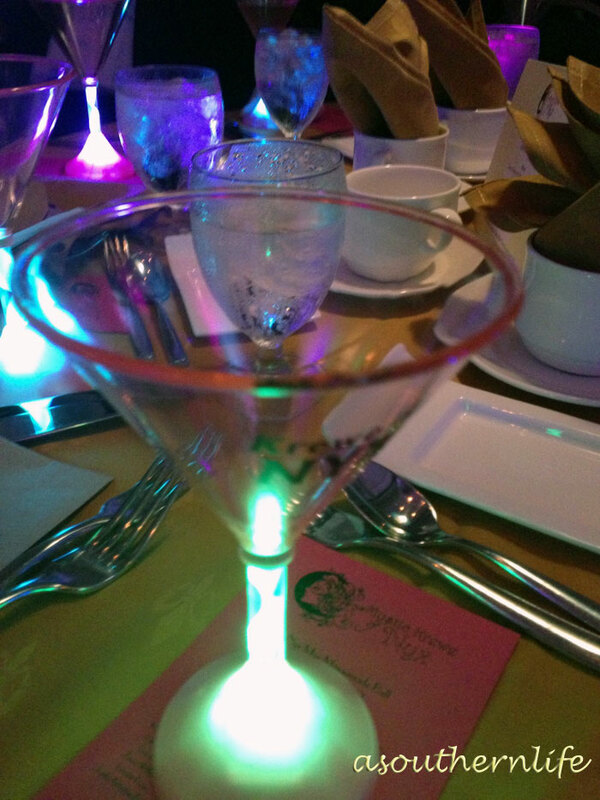 Here is a close up of one of the glasses (which aren’t actually glass). Here is a better shot of the napkins. 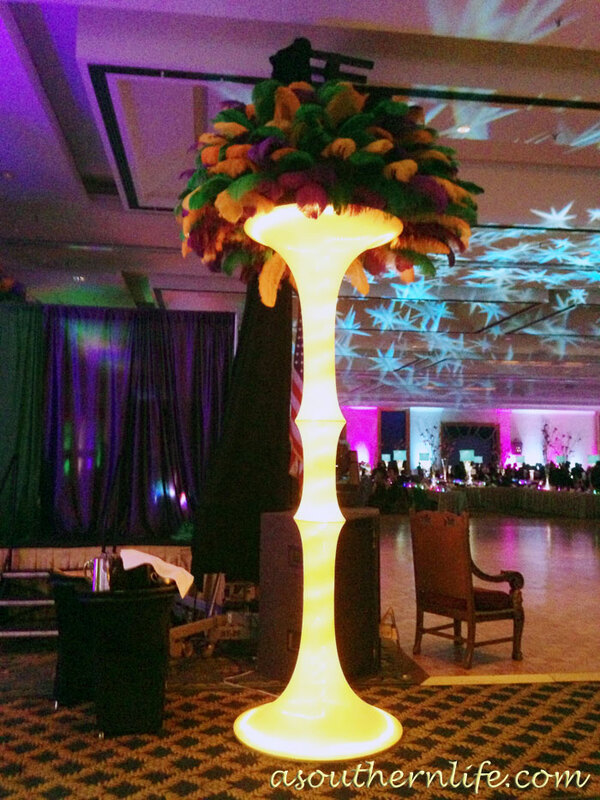 This centerpiece is a large lamp covering a lighted vase with flowers. So pretty. You can see others in the background. 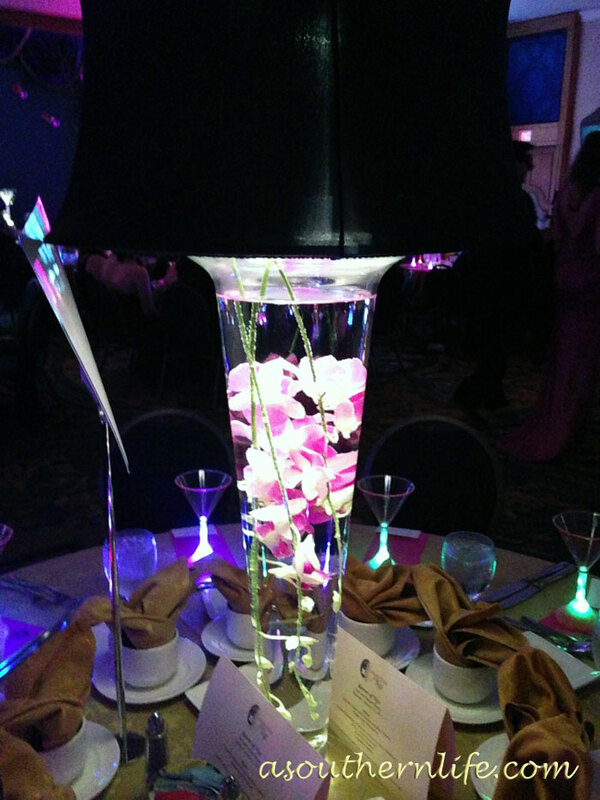 This centerpiece features a black lampshade on top of a lit vase of pink flowers. I should mention that the Krewe colors are hot pink and black. So beautiful. 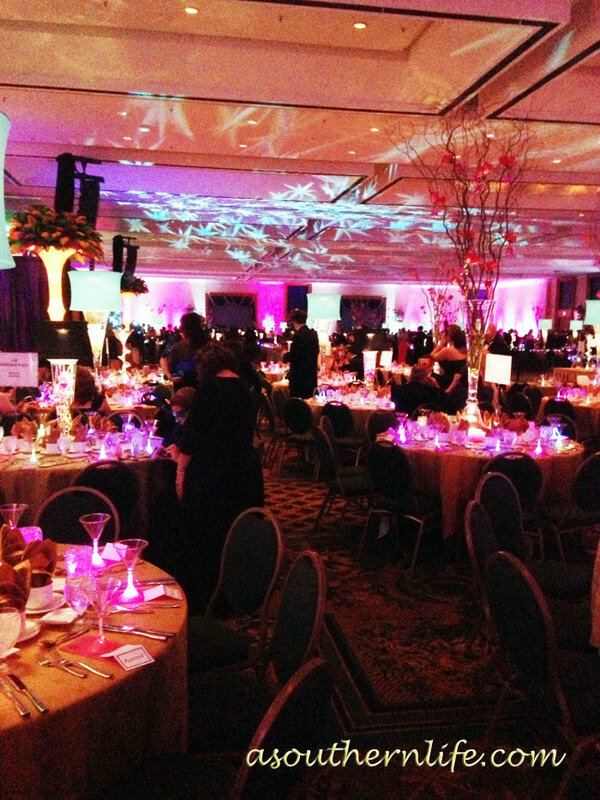 This was held in a ballroom at the Hilton Riverside hotel. The service and room was fabulous, as you can see. 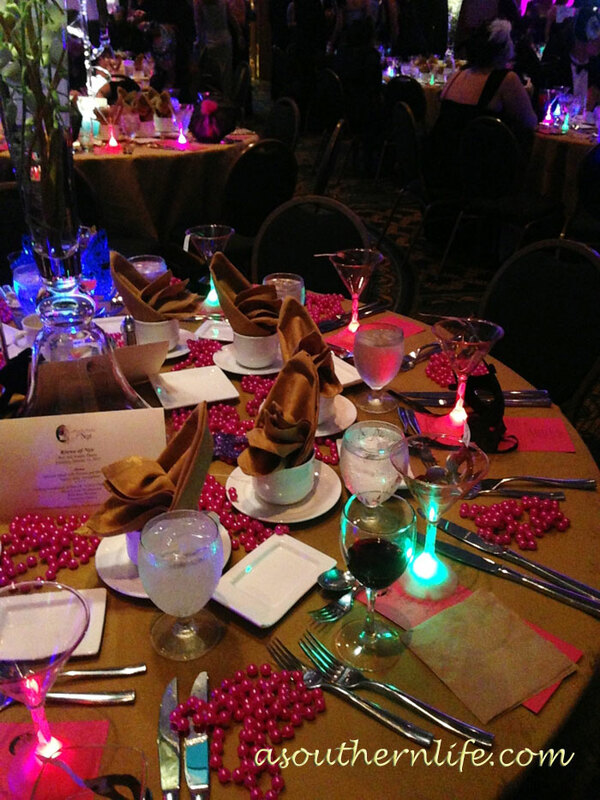 Here you can see some of the other centerpieces and also, how the stars lighting the ceiling, and the lighting on the walls, were an incredible addition to the festive atmosphere. Everywhere you turned there was a new feast for the eyes. Carnival in New Orleans can overload the senses. The colors, the music, the balls, the parades . . . there is just no other place like it. 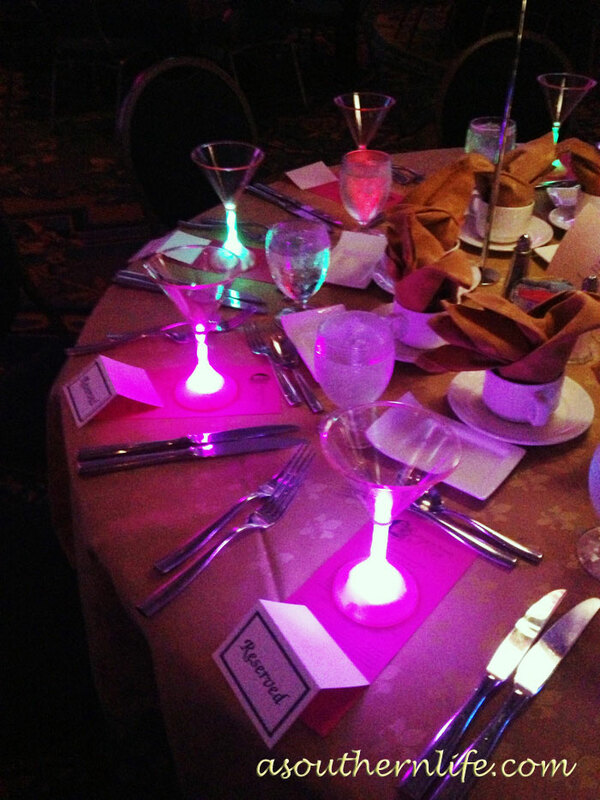 Hope you enjoyed the ball! Don’t miss anything from A Southern Life.